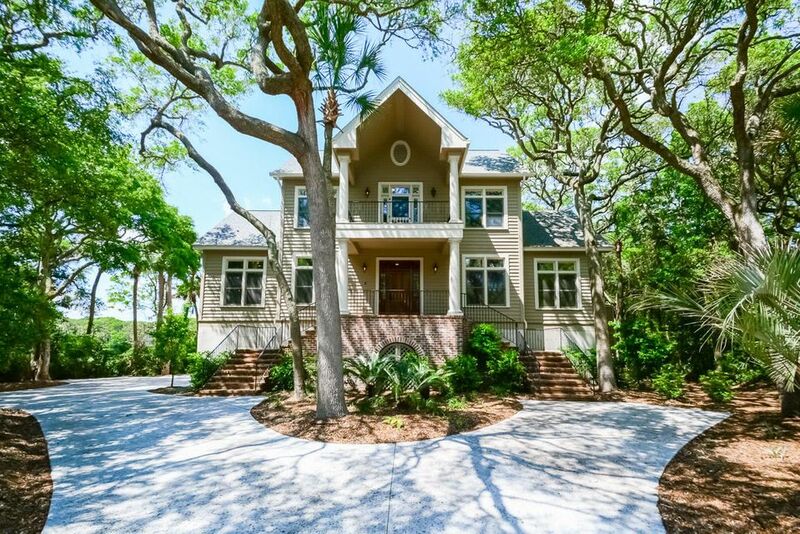 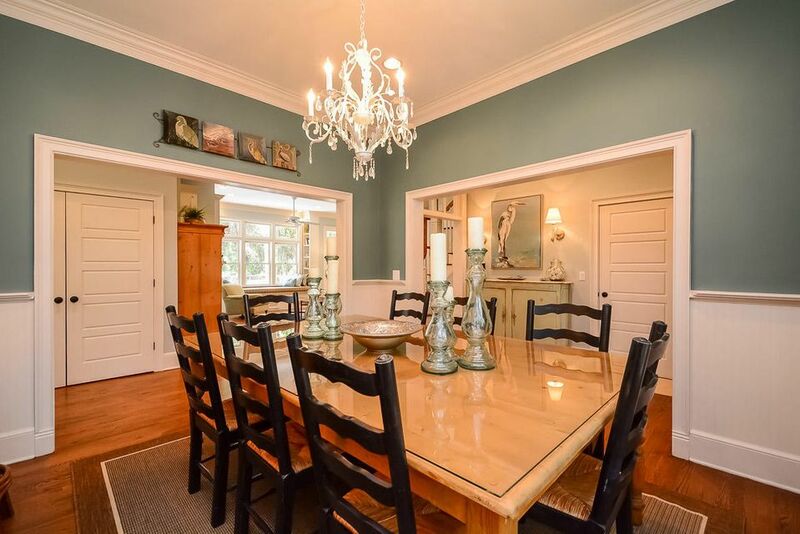 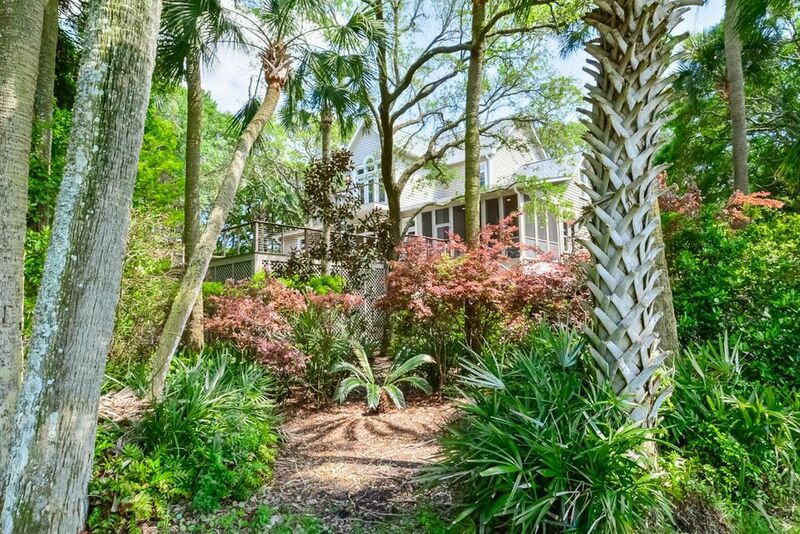 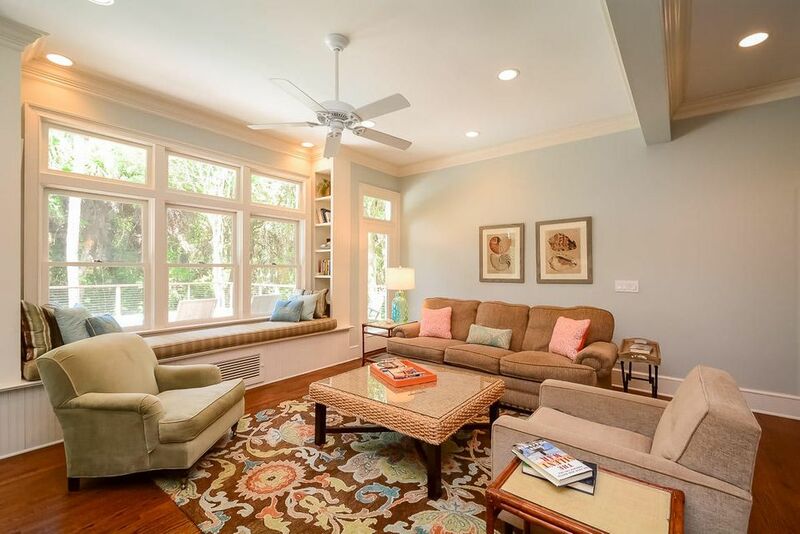 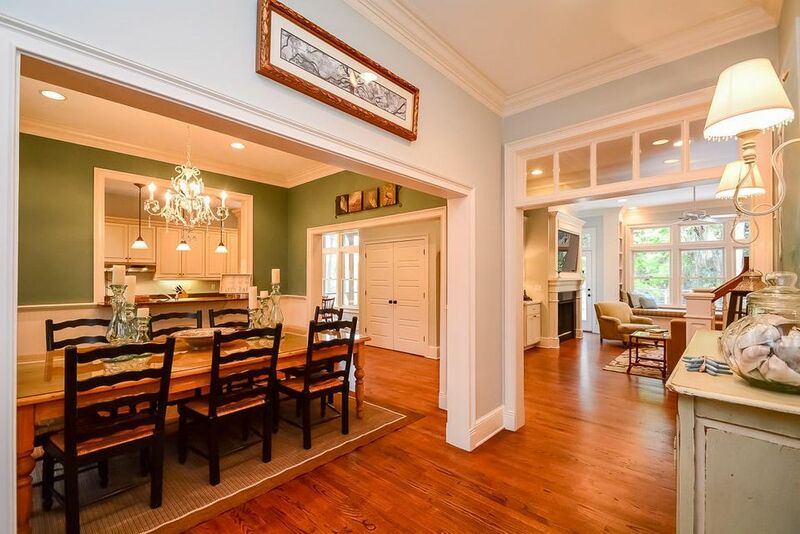 Located on a private, half acre lot just across the street from the beach access path, this sophisticated home is in the Vanderhorst Plantation of Kiawah Island. 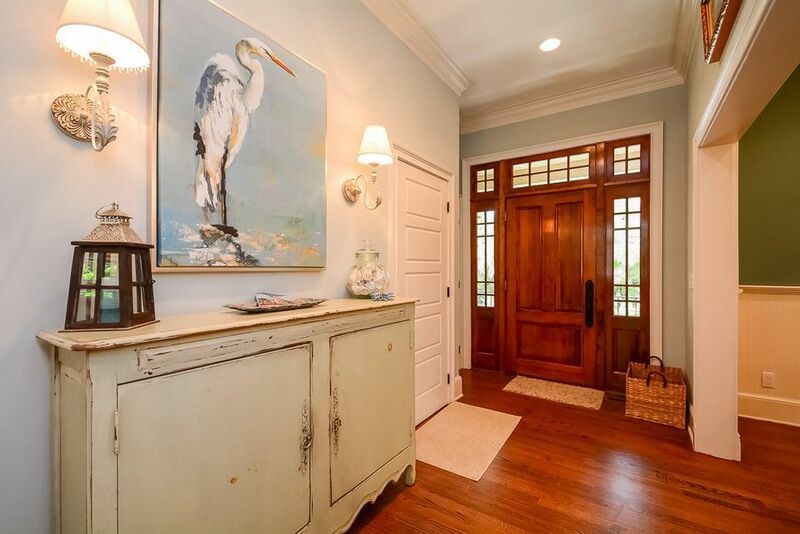 With double brick staircases, iron railing, herringbone brick pattern on the porch and large entry door, the front of the home showcases southern charm. 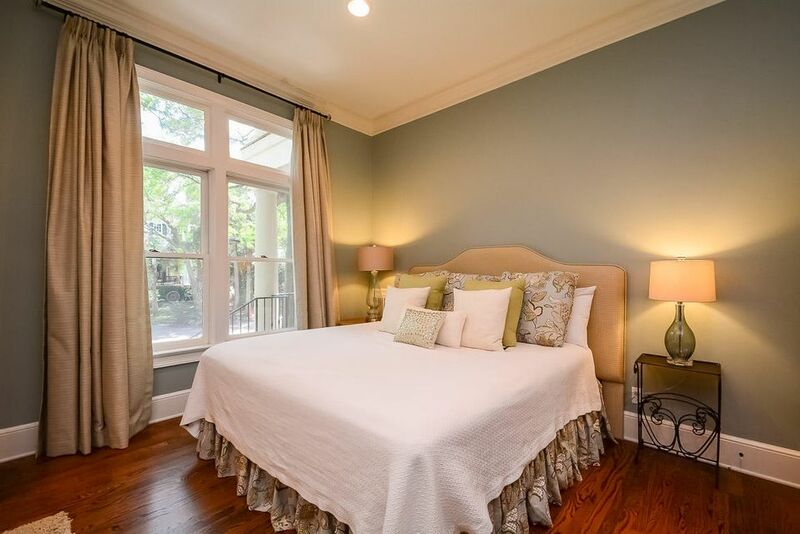 Enter the beautiful residence and you will immediately notice the high-end finishes and beautiful hardwood floors throughout. 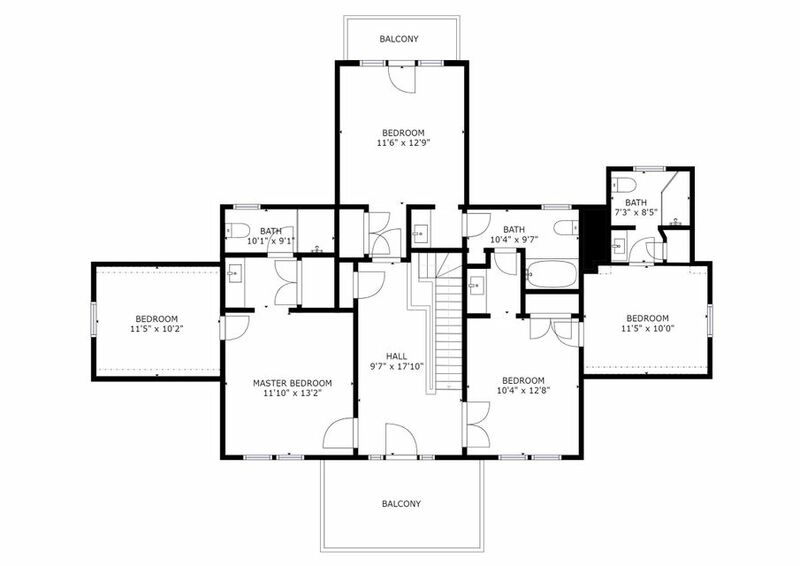 On the main level, the dining room and kitchen are to the left, while the main living space is straight ahead and the master suite is located on the right. 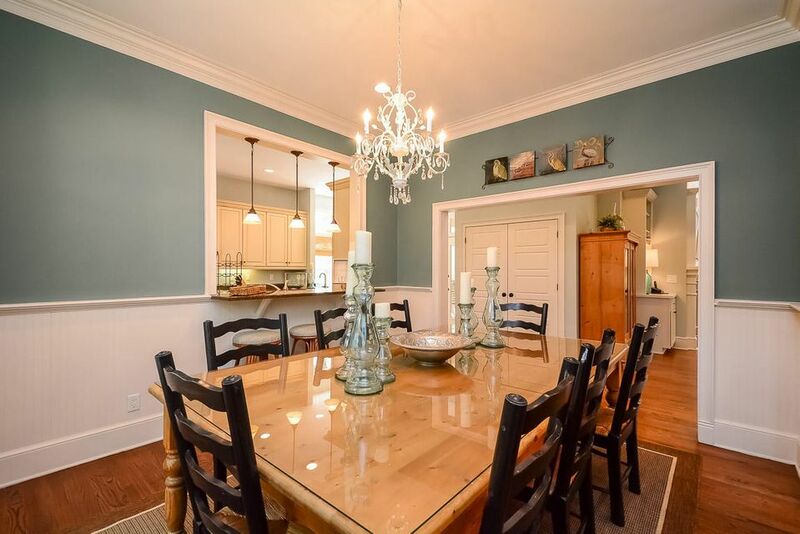 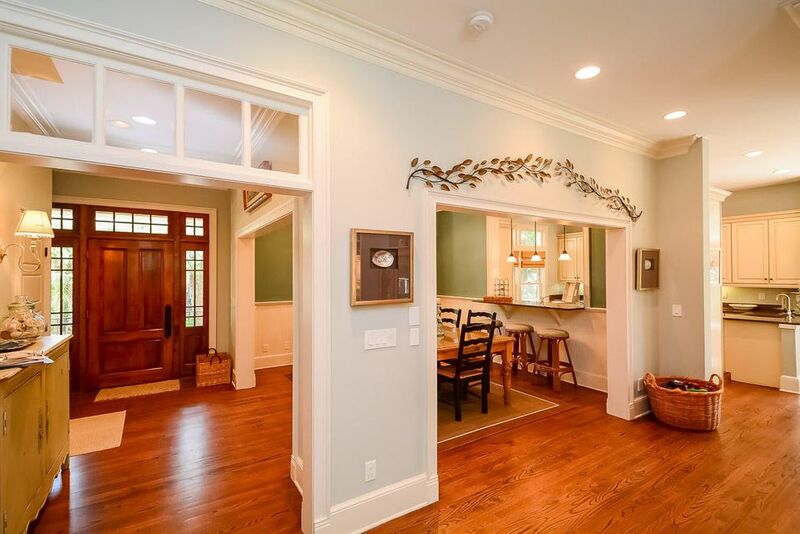 The dining area features wainscoting and a bar looking into the kitchen. 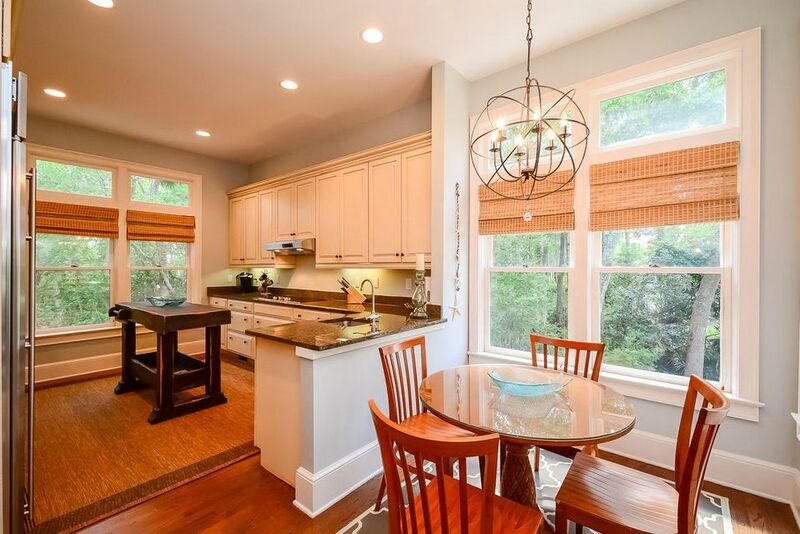 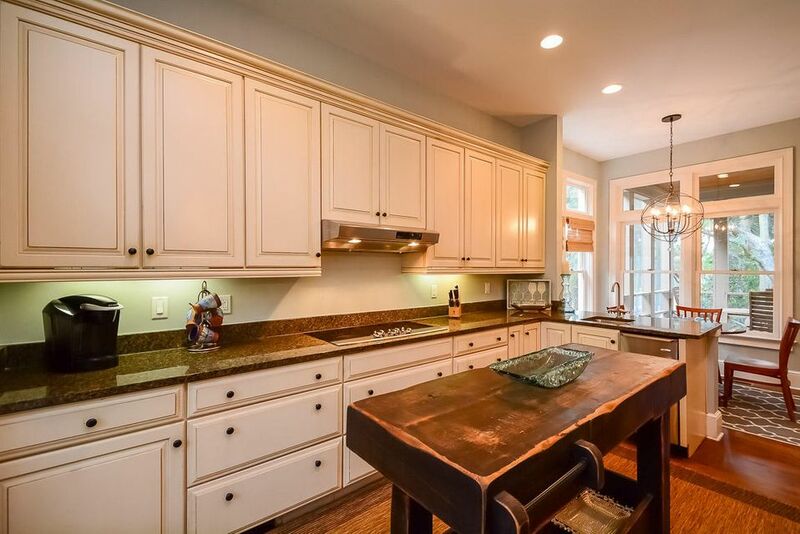 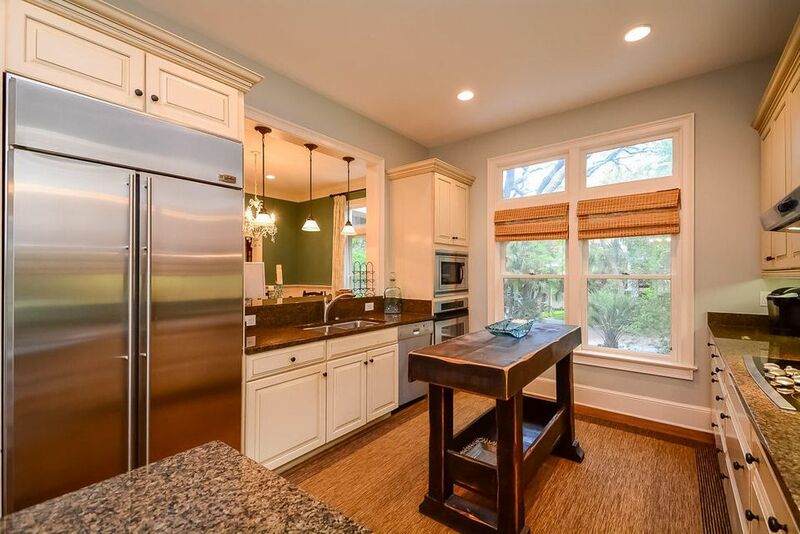 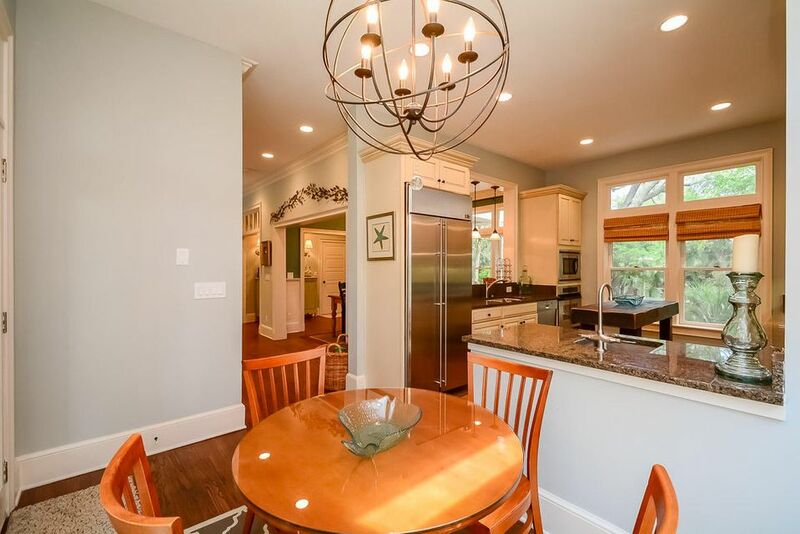 The gourmet kitchen showcases custom cabinetry, granite countertops, a rustic center island, 2 sinks, stainless steel appliances and a breakfast area that has access to the screened porch. 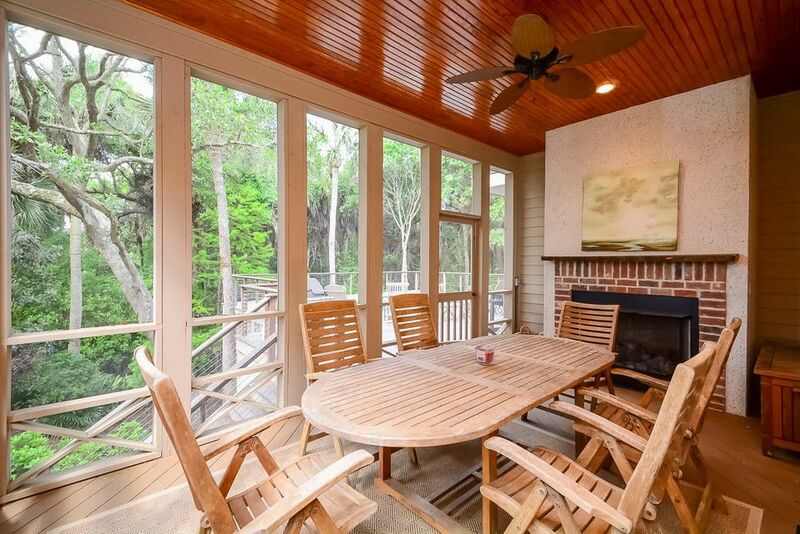 The large screened porch features a brick fireplace and has a door leading to the back deck. 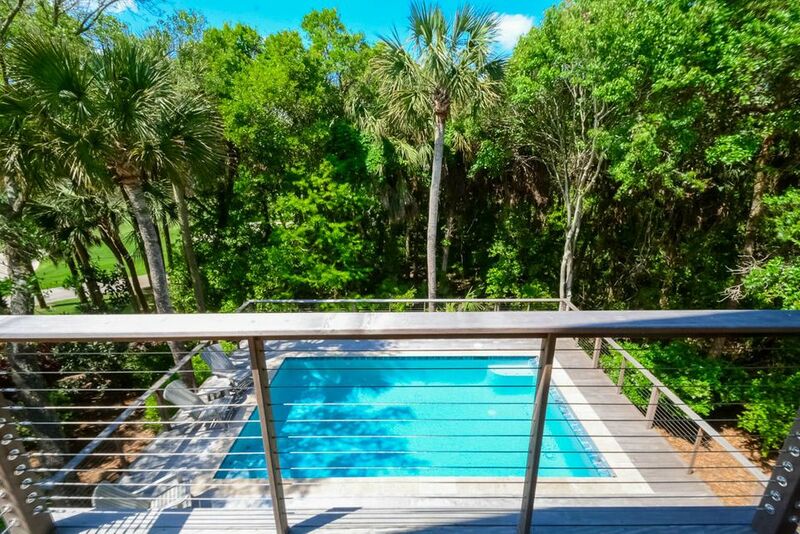 The home's private, large back deck is the perfect place to spend quality time with family, enjoy some sun or swim in the heated swimming pool. 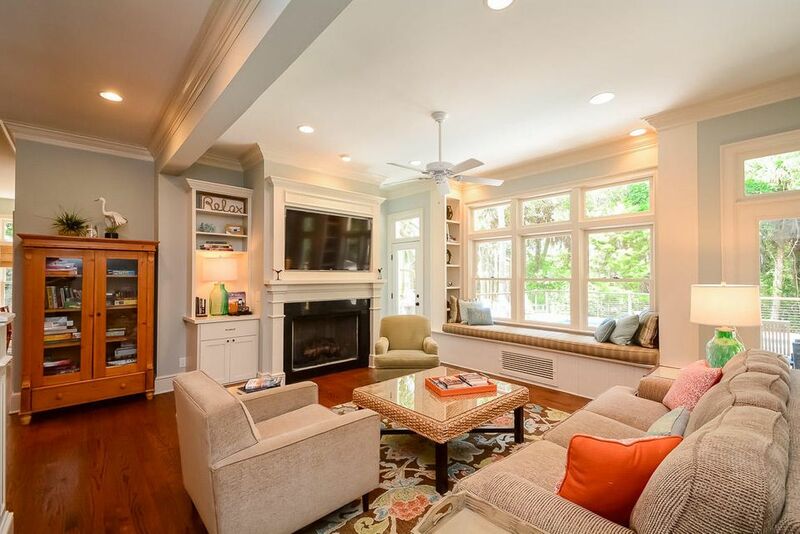 The light-filled living room has a fireplace and built-in seating area that overlooks the deck and pool. 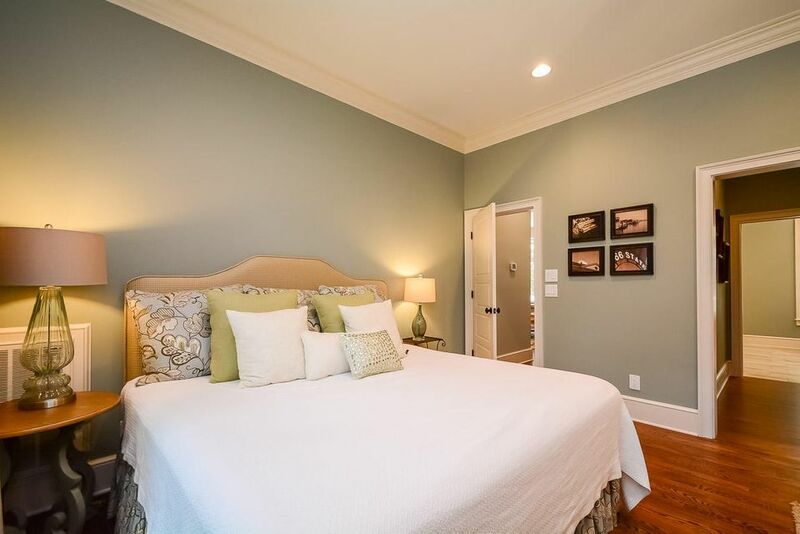 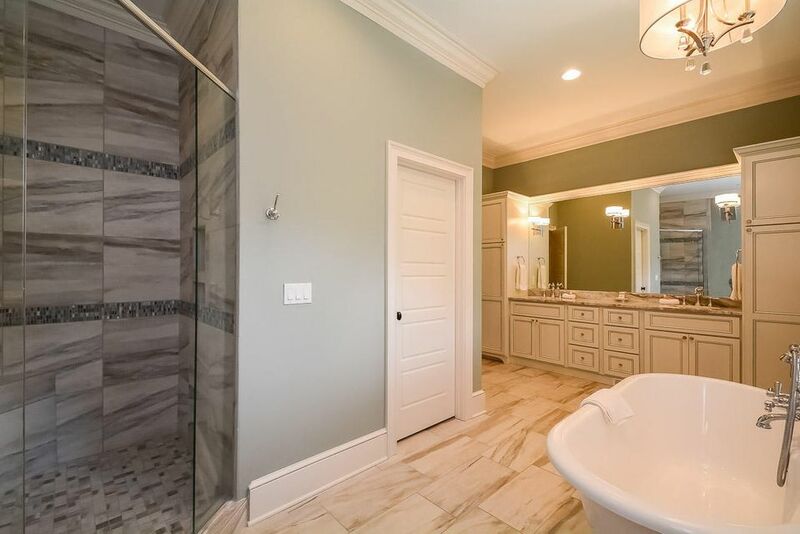 Down the hall is the incredibly spacious master suite with white built-in cabinets, walk-in closet and a large bathroom with double sinks, roomy shower, and soaking tub. 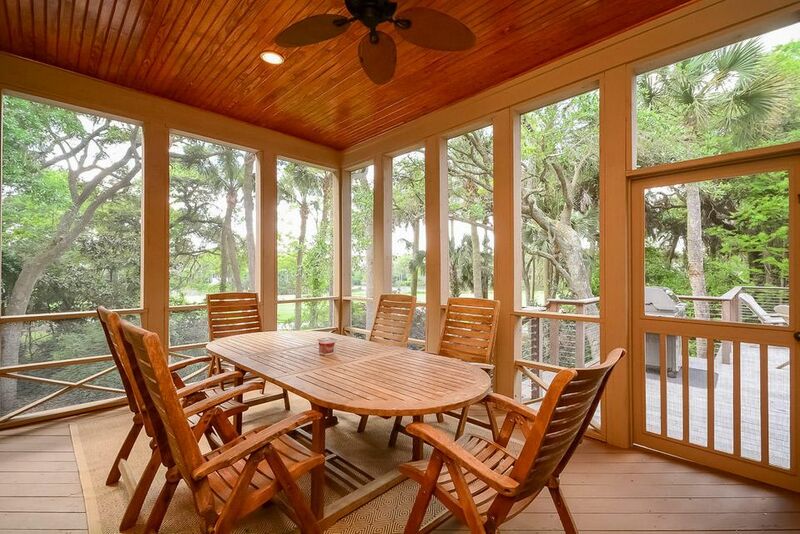 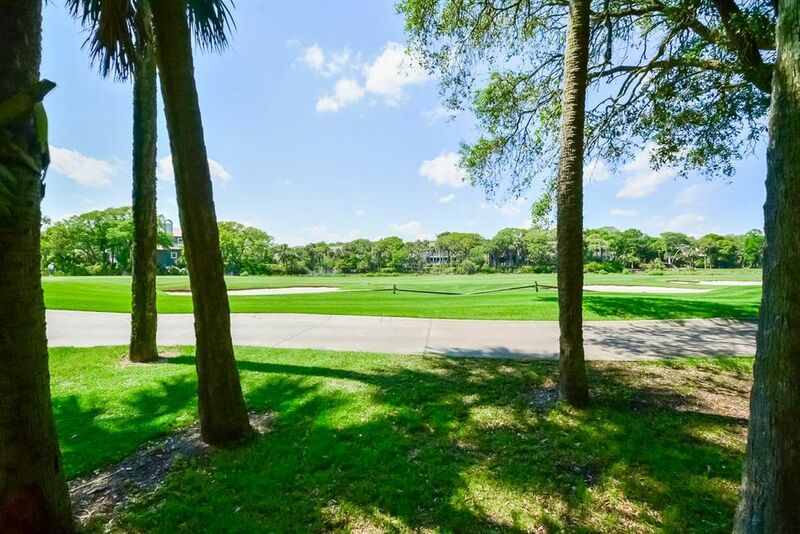 Both the screened porch and deck offer gorgeous views of Turtle Point Golf Course. 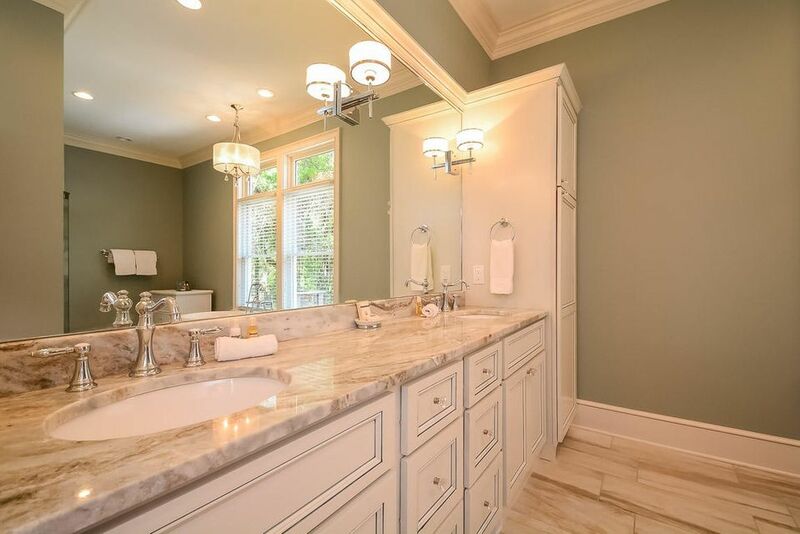 A powder room and laundry area complete the first floor. 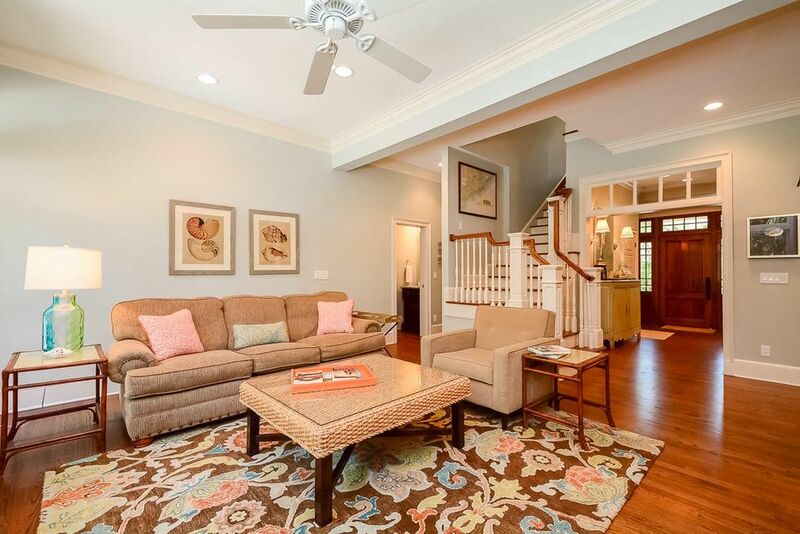 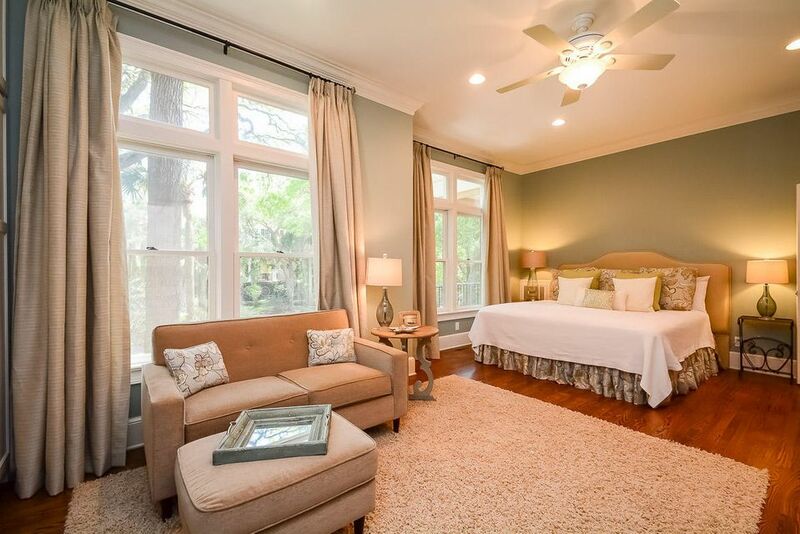 The home's second floor features five bedrooms and three bathrooms. 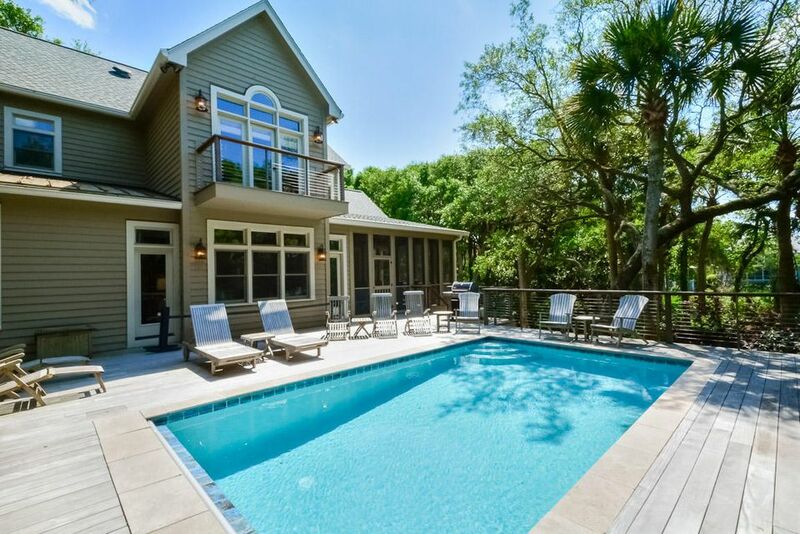 It also boasts a front and back porch to enjoy the views. 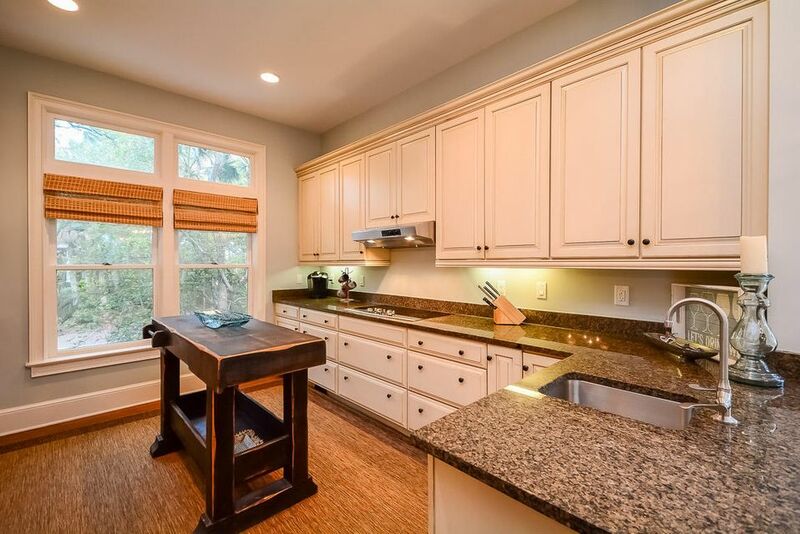 2 Nicklaus Lane is an ideal family home or great investment property. 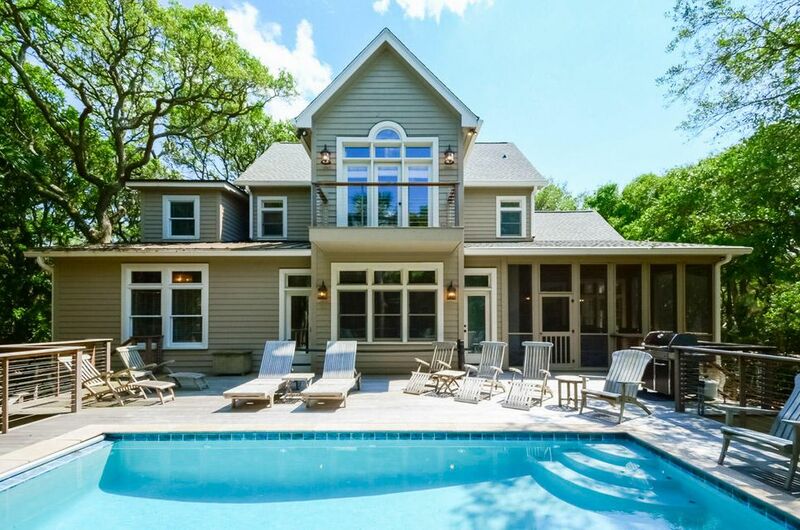 The home is currently on a rental program and generates significant rental income. 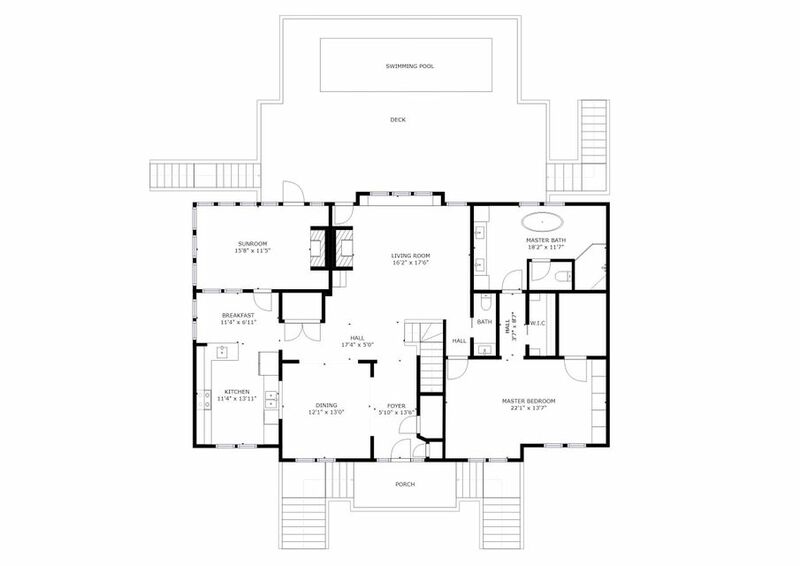 Make sure to view the 3D virtual tour to see the property's unique floorplan. 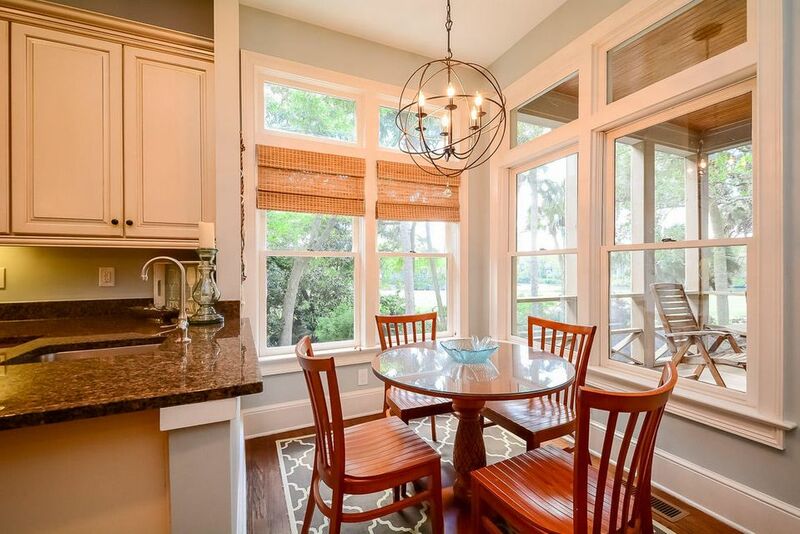 Sold furnished, less a few exclusions.